The US Congressional Research Service has recently released a study on the carbon emissions of oil sands imports relative to other sources. It's basically a literature review of oil sand emission estimates done by various groups. Final findings? 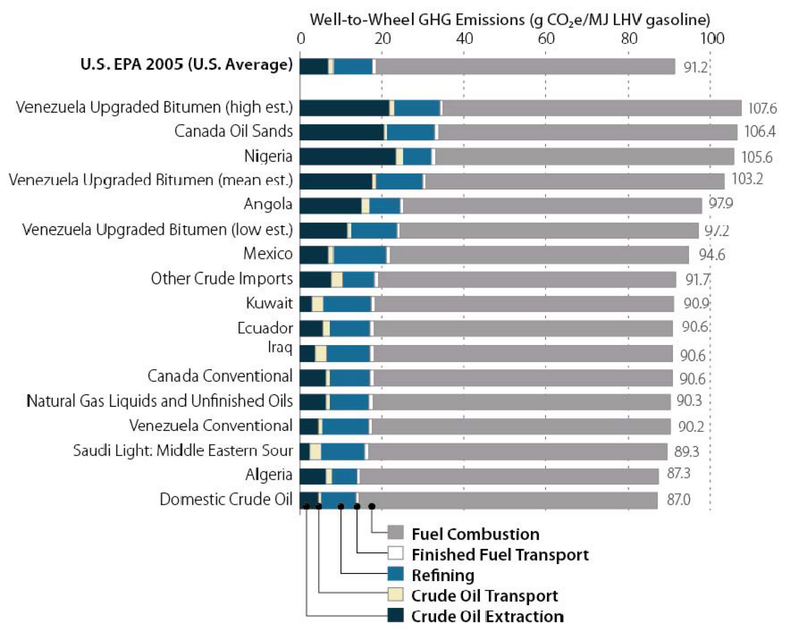 Oil from the Canadian oil sands emit between 14 and 20% more CO2 than average US imports on a "wells-to-wheels" basis. 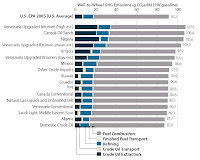 As the chart to the right demonstrates, emissions from all types of crude are dominated by fuel combustion, meaning increased extraction and refinement emissions of bitumen are largely overshadowed. The report gives different numbers for different extraction methods. 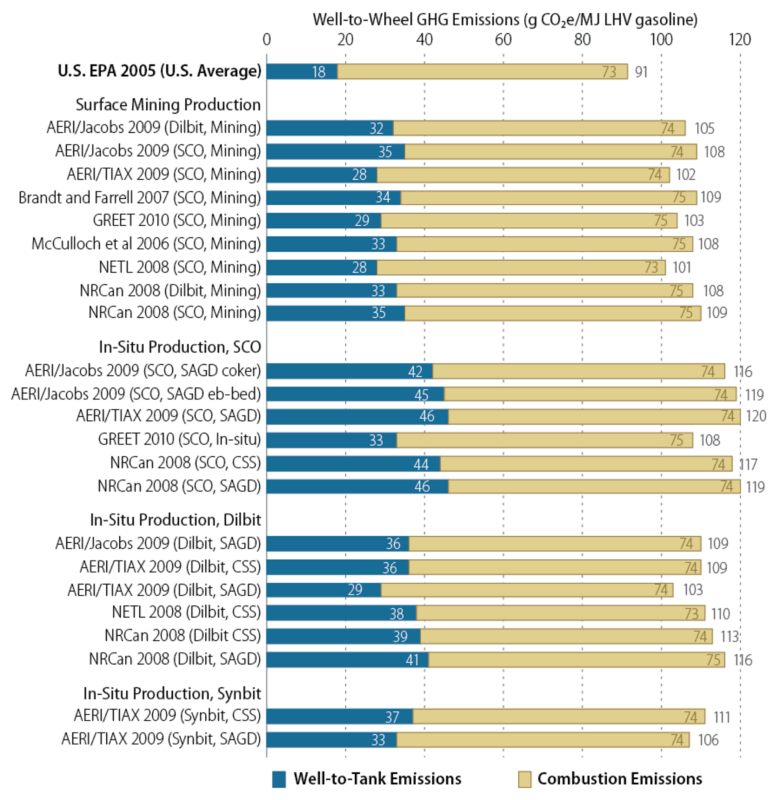 SAGD tends to be more carbon intensive than mining and less intensive than CSS. The report also covers some of the complicating factors involved with making estimates like these. 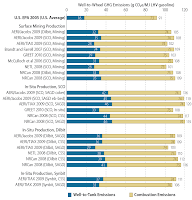 Accounting for artificial lift method, venting and flaring of gas and so on are all things that are difficult to estimate but have a large impact on emissions. Anyway, this is one of the most extensive summaries of oil sands emissions studies I've seen, worth a read if you're interested in this stuff.